For example now a days you can’t speak against imran khan, reason being the same that he is popular these days and PTI trolls will not only criticize you but moreon will not hesitate to abuse you.Latest stupidity that their party trolls commited is the uploading of a list on Bahria town letter pad containing 19 journalists bribed by malik riaz.It was proved fake however. 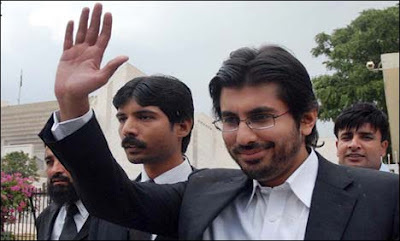 I just distracted from the topic.Today the issue I want to share is the drop scene of Arsalan Iftikhar case. Justice Iftikhar took suo moto notice after rumours infact believed reality about Arsalan Iftikhar scandal.Hearing took blace and CJ vowed that no relaxation will be offered to him irrespective of the relation we owe to eachother. SC ordered govt. of Pakistan to probe the case regarding Arsalan and Malik Riaz .I humbly will say that SC bashed govt. for 4 long years on mismanagement, bad governance and failure of govt. to implement SC decisions. We also know that Hamid saeed Kazmi is in jail.Raja Pervaiz Ashraf being accused of corruption charges,Yousaf Raza Gillani disqualified by SC.Abbdul Qadir Gillani is under threat from 2 years and he is not yet cleared or convicted of hajj scandal,Rehman Malik disqualified ,He was punished prior to this but President exercised his powers and he was given relief by the president,Ahmed Riaz Seikh was handcuffed in Supreme Court,Adnan Khawaja was rolled over by supreme court,Ali Musa Gillani Is also under threat by supreme court. Hussain Haqqani has been proved guilty of memo gate.Moreon SC took NRO case and didn't allow parliament to discuss it and also speaker's ruling in Yousaf Raza caase was thrown over by supreme court. Saying all that I just wanna question that why was Arsalan Iftikhar not arrested or punished by supreme court,Why he has been put infront of this corrupt govt. (as discussed above) to probe into the case. If Riaz Sheikh was handcuffed in supreme court building why Arsalan is above law.Law of necessity finally worked here and SC lost respect in this case.Case should be trialed in court and if supreme court believes that govt. is corrupt then why they have given this case to them. CJ might not have helped his son in this case but the message to the legal practitioners is not wise. Arsalan should come in supreme court as Gillani did and many ministers of this govt. will do. I seriously think that the decision is tilted towards Arsalan and moreon contempt of court case against Malik Riaz is a new story to distract the attention from the main issue. People might have seen banana states but to see bubble state here it is.Bubble in a sense that an issue arises like bubble and after a week it ruptures followed by another bubble .So on and so forth. But above all I and all Pakistani people obey the decision as courts should be obeyed whatever they say.I and many had an argument and that was shared not to influence something but it is not a claptrap. And now the recent development is the recruitment of a new PM Raja Pervaiz Ashraf.People don’t have words to defend this decidion of the govt.I have just one point on the issue and that’s when people like Qamar Zaman Kaira ,Raza Rabbani,Hina Rabbani Khar and many other who are more popular among people than why to do such type of decision.Qamar Zaman Kaira was a better option as he had good relations with media too and he has never been accused of financial corruption.Appointing Raja Pervaiz certainly gives message to supreme court and people that you are tiny meaningless for us and yes we will appoint someone on you whom you hate the most regarding loadshedding. But one thing is clear that any PM from the ruling party will never write a letter to the swiss authorities requesting him to reopen the cases against our president .